Product prices and availability are accurate as of 2019-04-15 02:47:00 EDT and are subject to change. Any price and availability information displayed on http://www.amazon.com/ at the time of purchase will apply to the purchase of this product. 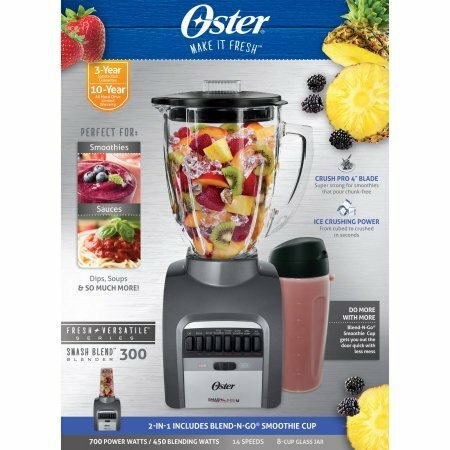 Push your culinary creativity in the kitchen with the Oster Smash Blend 300 Blender with Smoothie Cup, BLSTTG-PGP-BG3. Push button controls get you through your blending tasks with power and precision for perfect results. Brought to you by the #1 Blender brand. From prepping to serving, you can rely on this Oster Smash Blend 300 Blender with Smoothie Cup, BLSTTG-PGP-BG3 to perform effortlessly. Whether you are blending creamy dip, pureeing soup, chopping ice or pouring a fresh smoothie, you can create your dishes with ease. Push button function programs speed for precise, consistent results. Thermal shock tested, extra-large blending jar and heavy-duty stainless steel blade are ideal for blending batches of frozen party drinks. 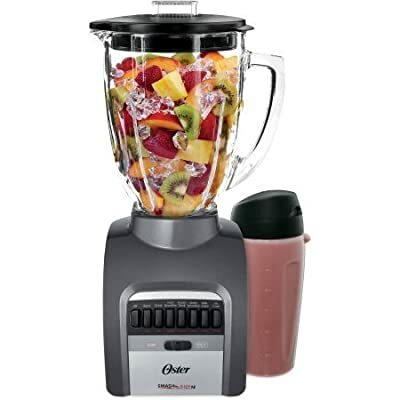 As an Oster brand blender product, you can be assured this blender is built with superior quality and lasting durability. 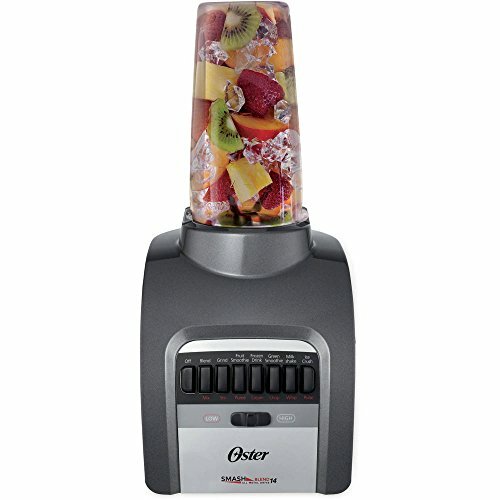 This Oster Blender is made in North America, and backed by the superior quality and power of All-Metal Drive.